Where can I get my website fixed? Who can fix my website? Get your website fixed by Hunter Website Services. There is something wrong with your website and you need it fixed. ASAP. As long as things aren't right there is the potential for lost opportunities. 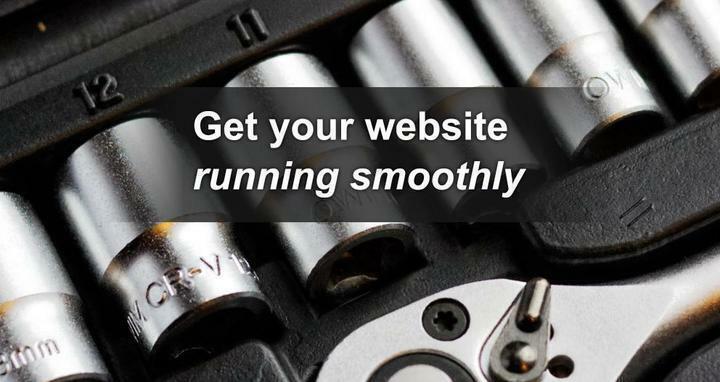 Not to worry, you're in the right place and can get the ball rolling on your website repairs. Hunter Website Services has become an expert in repairing websites after many years of working on them. Everything from small unexpected bugs right up to fixing catastrophic security breaches. To start with, many years of experience in the industry. Dealing with every kind of website under the sun. Websites are also repaired here in Australia and never outsourced. In fact, you may communicate directly to who is doing the repairs for you over the phone and via email. If you are based around Newcastle or Maitland then we can even communicate in person. Hunter Website Services does more than website repairs. Browse around and take a look at some of the creative websites and web apps that have been built. The full suite of website services are available here, everything from website hosting to optimisation.